Day 7 of NaNoWriMo Wordcount Still 10,050/ NaBloPoMo (7 for 7). Today was my weekly day out with Mom. 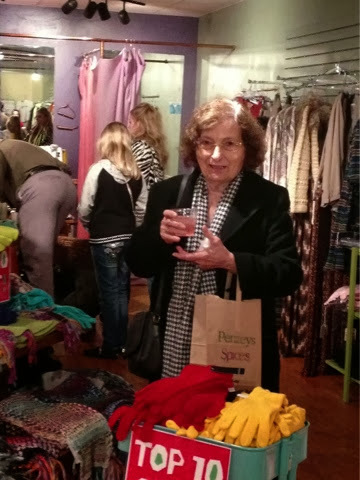 We began with breakfast, shopped, lunched, shopped, happy hour at Dodiyo’s, visited every shop in Homewood’s holiday open house. I dropped her off at 8pm and I got home at 9. I’m watching Elementary, might do the news and then to bed with ARC called Hild. (Advanced Reading Copy). Tomorrow I’ll have to double up on my daily word output. A little over 3000 -sigh.